Today we welcome Chris Snider to Day 17 of Bad Moon Rising! Some writers don’t believe in writer’s block. But if you’re one of the many who do – Chris’s book will make you wish you didn’t. Is writer’s block a killer? James Conrad is a best-selling writer of three novels, but during the writing of the third, his life took a downward spiral. He began drinking and his wife, Casey, left him. Now, in trying to write his fourth novel, he has total writer’s block. Lately, he’s been seeing a man who is all bones… a skeleton man. One night, the whispering voice almost convinces him to kill himself. 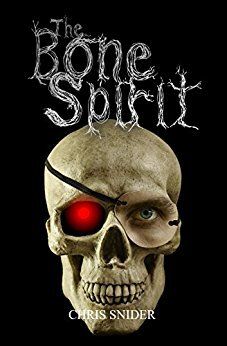 After he calls Casey in a terrified state, she joins him on a terrifying journey to discover two things: who or what is this skeleton man and, more importantly, can they stop him. What’s the first story you ever wrote? When I was in the 8th grade, I fell in love with this girl who was a grade below me. She had this boyfriend that knew it and so he teased me and taunted me because he had her and I didn’t every chance he got. I was really big into pro wrestling at the time, so I wrote a story where the school was one big wrestling federation and the girl held a tournament to win her heart. Of course I met her boyfriend in the finals and won. Which fictional character would you most like to meet and have a drink with? It would be a toss up between two Nora Roberts characters. I loved Nate Burke’s character in Northern lights, but also judging from the description of Rowan Tripp and her character in Chasing Fire, I would be in love! In the Spirit of Halloween, what scares you? Death in general, but if we want to be specific, Venomous snakes, Spiders and Lightning. Favorite hero and villain from a book/movie? I grew up a Batman kid. I love the dark and mysterious nature of his character. As for my favorite villain, you can’t go wrong with Jason Voorhees from the Friday the 13th movies. What do you consider the hardest part of writing? Keeping a story going. I have a horrible tendency to run out of steam before completing the project. I’ve completed about seven projects, but started and failed at many many more. I’m writing the third installment of my Jacob Cross series. He’s the main character in my first book “The Preacher.” The second book has not been released yet, but it will be the next project I publish. My name is Chris Snider. I’m a soon to be thirty-one year-old writer who has Asperger’s syndrome. 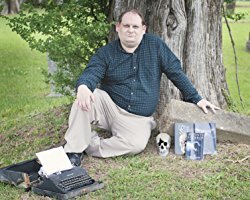 I am a Christian and my first book was very Christian based, though I write mostly in the Horror genre. My favorite Authors are Dean Koontz, Stephen King and Tami Hoag. My hobbies include of course reading and writing, but also video games and the NFL. I’ve always been fond of RPG games and survival Horror games. My favorite NFL team is the Baltimore Ravens and I try to never miss a game. Sounds like a fascinating read. I’m off to Amazon to check it out further. BTW, Chris, I loved Nate Burke’s character in Northern Lights, too. Congrats on The Bone Spirit! Awesome, feel free to send me a friend request. My profile pic is the same one here.